Murder by Gaslight: Who Killed Benjamin Nathan? Benjamin Nathan, a wealthy stockbroker and philanthropist, was found brutally beaten to death in his Manhattan home the morning of July 29, 1870. Some jewelry and a small amount of cash were stolen and the police were quick to rule the incident a burglary gone bad. But if so, how and when did the burglars enter? And how could four others staying in the house sleep through the violent attack? In fact, the Nathan murder looked more like a classic “locked-room” mystery—a mystery that remains unsolved. July 1870 was oppressively hot in New York City and the Nathan family was staying at their country home in Morristown, New Jersey. Benjamin Nathan, aged 56, came from a prominent Sephardic Jewish family and was a respected member of the New York Stock Exchange. He regularly commuted, that summer, from New Jersey to his Broad Street office and on occasion would spend the night at his townhouse on West Twenty-Third Street. Nathan and his two sons, Frederick, age 26, and Washington, age 22, surprised Mrs. Kelly, the housekeeper, when they arrived to spend the night on July 28. The house was in the process of being redecorated and the furniture was in disarray. The bedstead in Mr. Nathan’s room had been taken down so he had Mrs. Kelly make a temporary bed of mattresses on the floor of the small reception room leading to his office on the second floor. He had some work he wanted to do before bed. Nathan’s sons slept in their rooms on the third floor. Mrs. Kelly slept in the rear of the second floor and her son William slept on the fourth floor. Frederick and Washington went out separately that night. Around 11:15 Frederick returned and spoke briefly with his father before retiring. A violent thunderstorm kept Washington out later than he had anticipated. He returned between 12:00 and 1:00, and passing the open door of his father’s room, saw the old man sleeping. The two sons awoke early the next morning, as they planned to accompany their father to the synagogue to offer prayers commemorating the anniversary of his mother’s death a year earlier. Around 6:00 a.m. Washington came downstairs in his nightshirt to awaken his father. He was shocked to find his father lying in a pool of blood with numerous gaping wounds in his skull. Blood was spattered on the walls and furniture and an overturned chair was smeared with blood. Washington screamed for his brother who hurried downstairs and, seeing the carnage, ran to the body and cradled his father’s head in his arms. They ran out to the street, both in their nightshirts, Frederick’s covered with blood, and called for a policeman. It appeared that Benjamin Nathan had been hit from behind while sitting at his writing desk. The first blow had not been sufficient and there was evidence of a struggle. Two fingers of his left hand had been fractured while warding off a blow. He had at least fifteen wounds on his head, with bone splinters and brain matter exuding in a dozen places. In Nathan’s office, the door of his safe was wide open. Missing from the safe were two to three hundred dollars in cash and a gold medal commemorating Mr. Nathan’s charitable work. Missing from his clothing were a gold watch and three diamond studs, valued at $700. The police made a thorough search of the house, including floorboards and drainpipes, but the stolen goods were not found. Some of the injuries to Nathan’s head had been made by a blunt object, others by something sharp, so it was first thought that there were two assailants using two different weapons. This view changed when, during the search, Frederick Nathan found an iron tool, known as a carpenter’s “dog,” covered with blood and hair, lying on the floor near the front door. It was an eighteen inch iron bar with the ends turned down and sharpened, in the shape of a staple. The “dog” could have inflicted both types of wound and was clearly the murder weapon. The announcement of the murder caused a great sensation in New York and traffic on Twenty-Third Street was blocked all day by sightseers trying to get a look at Nathan’s townhouse. The mayor of New York, together with Mr. Nathan’s widow, offered a $30,000 reward for information leading to the arrest and conviction of the murderer and a total of $7,000 for the recovery of the various stolen objects. The New York Stock Exchange opened that day with the flag flying at half-mast and the Stock Exchange added $10,000 to the reward. Police Chief John Jordan and Chief Detective James J. Kelso took command of the investigation. Officer John Mangam was put in charge of the crime scene. Officer Mangam, who had been walking the beat on Twenty-Third Street that night, said he had tried the front door of Nathan’s house, once at 1:30 and again at 4:30, as was his custom, and found it locked both times. There were no marks on the lock of the front door to indicate that it had been picked. Mangam later found that the basement door was unlocked—though there was no evidence that anyone entered through the basement, and it was suggested that the killer had unlocked it from the inside for misdirection. John Nies, a newsboy delivering papers that morning, found the front door open at 5:10 a.m. He also witnessed a man, “dressed as a mason,” pick up a scrap of paper that looked “like a check” from the steps of the Nathan’s house and walk away with it. Beyond the fact that the murder must have taken place some time between Washington Nathan’s arrival home, and 5:10 when the newsboy saw the front door open, none of the evidence was helpful in identifying the killer. What was baffling everyone was how four people staying in the house that night were able to sleep through what had clearly been a violent struggle. For the press and the public, the prime suspect in the Nathan murder became Washington Nathan. He was an intemperate man who frequently fought with his father over his “habits of life”—drinking, whoring and reckless spending. His character made him the likely killer, and the press noted that he did not exhibit the same level of emotion as his brother Frederick. But Washington would not benefit from his father’s death. Benjamin Nathan bequeathed $75,000 to each of his eight children, but in Washington’s case, the will stipulated that the money would be held in trust until “he married a lady born in and professing the Hebrew faith” or turned 25; even then his mother would have to sign a declaration stating that he was “living a life of regularity and sobriety” before he would get the money. And in spite of their disagreement over lifestyle, Washington and his father were not bitter enemies; Nathan had recently loaned his son $5,000 to capitalize his business. The inquest on the murder, which lasted nearly a month, appeared to be as much about exonerating Washington Nathan as determining the true killer. He provided a detailed, unabashed account of his whereabouts the night of July 28; he had drinks at the St. James Hotel on Fifth Avenue, read the paper at Delmonico’s, went back to the St. James for more drinks, then to a house on East Fourteenth Street, where he remained until nearly midnight with a prostitute named Clara Dale. Miss Dale corroborated his testimony in court. While the murder surely took place after Washington returned home, his doings prior to that time did not indicate a man intent on murder. Frederick Nathan was never seriously considered as a suspect. He was devoted to his father and was devistated by his death. As a successful broker in his own right, Frederick did not need the money and would not be tempted to kill for his inheritance. Mrs. Anne Kelly, the housekeeper, was not a suspect either. She was not physically capable of delivering the kind of beating Benjamin Nathan received and she had nothing to gain by his death. The murder left her unemployed and homeless. However, William Kelly, Mrs. Kelly’s adult son, was considered a suspect. Kelly was living on small army pension and whatever he could earn as a handyman. At the inquest he was thoroughly brow-beaten by the district attorney; he was forced to admit that he was of illegitimate birth, and he was accused on the stand of being a bounty-jumper and deserter in the army, a drunk, and, most importantly, he was accused of consorting with men on the fringes of the criminal world. But no charges were filed against William Kelly; in the end the inquest found that Benjamin Nathan was murdered by a person or persons unknown. From the start the police believed the murder had been committed by professional burglars. They canvassed all of the pawn shops in the city looking for the stolen goods and brought in at least thirty known burglars for questioning. But it brought them no closer to solving the crime. For a number of reasons the murder did not look like the work of professionals. The monetary value of the goods taken was quite small for burglars used to stealing thousands, even hundreds of thousands of dollars. The attack on Mr. Nathan was extraordinarily violent for someone in profession that sought to avoid violence. And with Nathan away from the house most nights that summer, why would they choose a night when he was there? The weapon, the carpenter’s “dog,” was baffling as well. The police learned that it was used in professions as diverse as boat-builder, post-trimmer, ladder-maker, slater, sawyer, scene-shifter in theatres, and iron-molder; but it was not commonly used by burglars. In spite of its unlikely nature, the burglar theory received a boost in March 1871 when George Ellis, a prisoner in Sing Sing Prison claimed he knew who killed Nathan and asked for a deal. When brought back to New York City he claimed that he had done some burglaries together with professional thief named Billy Forester that summer. Forrester knew that the Nathans had gone to the country and had talked about robbing their house. Forester became a wanted man but he was not found until more than a year later in September 1872. He immediately called in the law firm of Howe & Hummel, the city’s most effective criminal lawyers. Howe & Hummel specialized in murder cases and recently had defended Jacob Rosenzweig for the murder of Alice Bowlsby. 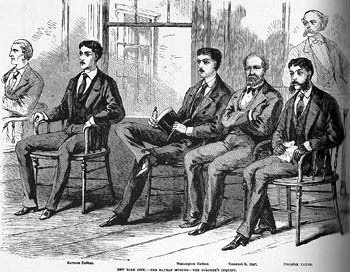 Forester’s case was not that difficult; he had been in prison in New Orleans most of 1870 and prosecutors could not even prove he was in New York at the time of the murder. The charges against him were dropped. 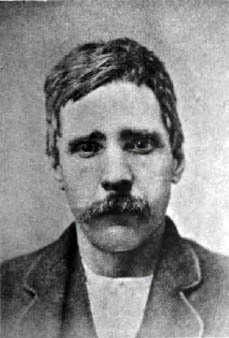 The burglar theory was revived again in 1873 when professional criminal John T. Irving, serving time in prison in California, confessed to the Nathan robbery. He was brought to New York where he gave a written confession that he, along with Caleb Gunnion, Nick Jones, Daniel Kelly (no relation to Anne and William Kelly) and a man named McNally, broke into Nathan’s house that night. It was Daniel Kelly, Irving said, who committed the murder. He promised to provide corroborating evidence if charges were dropped on two burglaries he had committed in New York—with stolen property valued at over $200,000. Irving’s story was not believed and the deal fell through; he was returned to prison. From the beginning, the police received hundreds of letters from people who claimed to have evidence in the case or had hunches that they knew were correct. None of these proved to be of any value. In fact Jourdan’s health had begun to fail shortly after the crime and he died of pleurisy on October 1, 1872. Any secrets he carried died with him. New York Police Inspector Thomas Byrnes (who did not work the Nathan case) writing in 1886 put much emphasis on John Irving’s confession. 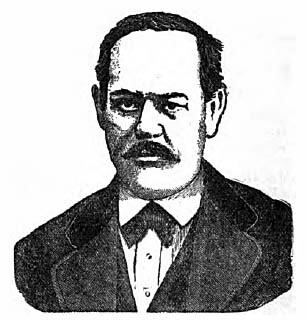 Former New York Police Chief George W. Walling (who also did not work the case) in his1887 autobiography, stated that he believed the killer was William Kelly, the son of the housekeeper. He believed that Kelly admitted his confederates into the house with a view of robbing the safe; in doing so they aroused Mr. Nathan, who engaged in a struggle which resulted in his death. Suspicion would continue to dog Washington Nathan throughout his life, though he was exonerated by the police. 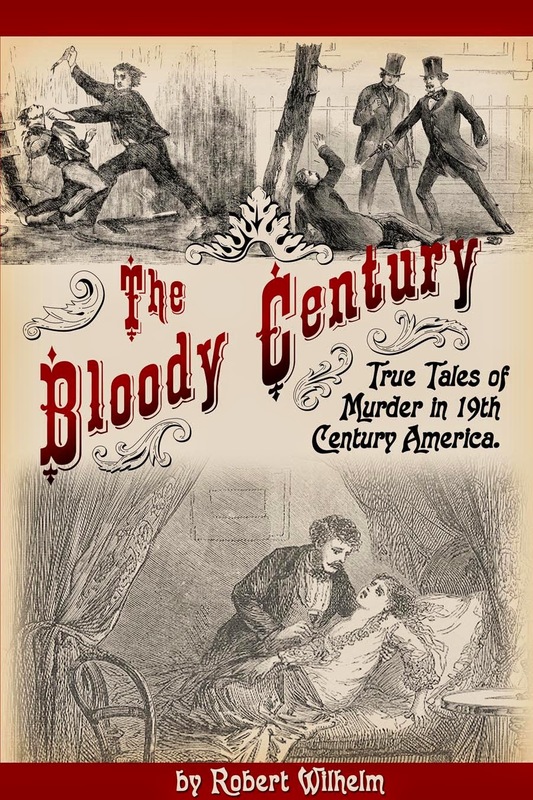 He continued his wayward lifestyle after his father’s death and in 1879 while paying a call on actress Alice Harrison at the Coleman House, he was shot in the neck by his former lover, actress Birdie Bell; the bullet lodged in his jaw. A plan was conceived to learn the truth by interrogating Washington Nathan while under anesthesia during the operation to remove the bullet. The operation never took place. In 1884 Nathan married a Mrs. Arnett, a widowed opera singer (and a gentile) and took his bride to Europe. He died in Boulogne at age forty-four and never received his inheritance. "I cannot speak fully without violating professional honor, for the man is a client of my office, but I can say this, that from what I learned from him Washington Nathan had no more to do with the killing of his father than I." "The murderer still lives. Thirty-four years have doubtless changed neither his face, his manner nor his habit. His name? This is not the time nor place." Clemens never found the proper time and place and never revealed his suspect’s name in print. Writing in 1924, Edmund Pearson dismissed the notion that the case involved a document (“dear to the hearts of writers of melodrama”) and, finding no logical suspects, was content to leave the murder unsolved. Clemens, Will M. "The Murder of the Rich Banker." The Era Magazine: Jan 1905. "The Latest Horror." Daily Enquirer 1 Aug 1870: 4. 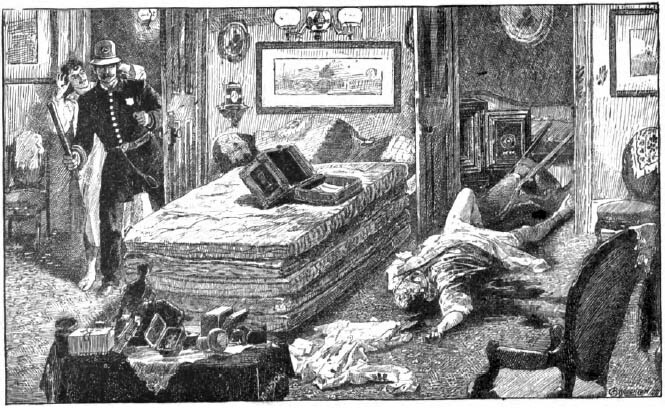 The Nathan murder reminds me a lot of the Harvey Burdell mystery: A man is beaten to death in a home full of people, but no one claimed to have heard a thing. Of course, with Burdell, the problem was that there were so many people who probably wanted to kill him; with Nathan, it's just the opposite. Washington, whatever his faults, does not seem like the type to bludgeon his own father, and while William Kelly may have been "other than a good one," he still lacked both the motive and the enterprise for such a deed. This is one of those murders that seems to have been committed by a ghost. You did an excellent summary of a particularly unsolvable crime, thanks! This is one of my favorites. No matter how you look at it there are pieces missing. It’s like the Lizzie Borden case; everyone has a strong opinion but no one can back it up with facts. He was hit fifteen times, and I believe that points to a rage killing by someone who knew him. My vote is for Washington Nathan. I am curious about how something such as this could have happened without any of the occupants hearing anything. Perhaps the layout of the house could explain this question Is the house still standing? Unfortunately, the house is not still standing. It was described as one of the largest townhouses in New York - at least 4 stories. Everyone agrees that Nathan was sleeping with the door open. My guess is that one or more of them heard the fight and chose to ignore it. It's interesting that Frederick was so easily dismissed. This was an angry killing, so obviously it's someone he knew. The killer attacked him from behind, but why from behind? The killer couldn't look him in the face, also pointing to someone he knew. Frederick's grief could have been guilt and in fact, his not needing the money points to him all the more. He could easily fake the robbery and toss the goods since he didn't need any of them. He was also the one that found the murder weapon. Fancy that. Oh and while I'm thinking about it, I disagree with the household ignoring the fight. That doesn't make any sense. Just saying. I'm also not ruling out Billy Forester. It would be interesting to know whether or not he had spoken to his mother after Nathan arrived. If so, then I'd rule him out. However if he hadn't spoken to her then Forester would not have been aware of Nathan's return and that would explain everything. All the way from knowing the victim to the violence. Nathan would have had to die since he could easily ID Forester and clearly the man was fighting him off so it made killing him all the more difficult, meaning violent. Either way, it's one of the three of them. I can see why Lizzie Borden's Uncle John cited this case when he found out his former brother-in-law and the brother-in-law's wife were savagely murdered. There is a lot of similarity, even with the suspects involved, and if you're curious, I'm 98% certain Lizzie did it. Stephen Birmingham wrote of the murder in his book about the upper class Sephardic Jewish community in New York City in his book "The Grandees". He mentioned that one small clue was that Mr. Nathan was terribly nearsighted and constantly needed to wear his eyeglasses when he was up. When he was found dead the eyeglasses were on the night table next to the bed still folded up. As Birmingham put it, this makes it look like the killer deliberately pulled Mr. Nathan off the bed to beat him to death - not an issue of a nearsighted man who hears a burglar and confronts him (in this when not wearing his all important eyeglasses). There is one or two other points. Mr. Nathan was a Vice President of the New York Stock Exchange. He was actually quite important. His brother in law was Justice Albert Cardozo of the New York State Supreme Court. Albert and his wife named their son Benjamin Nathan Cardozo after the victim. 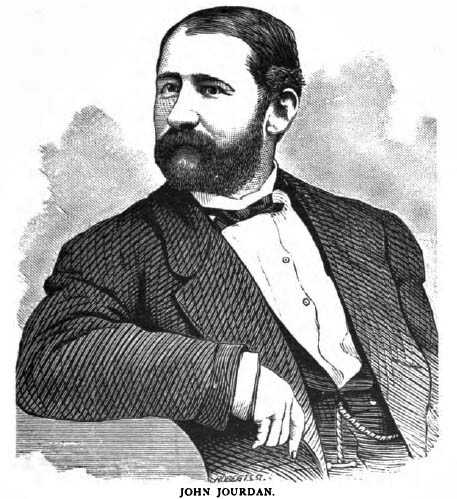 Albert was a member of Tammany Hall, and tarred (in the 1870s, as one of the three state jurists (with Justices Barnard and McCunn) who were too close to Boss Tweed. Cardozo would resign his job in 1873 to avoid impeachment and removal (as befell Barnard - McCunn died before the total process occurred), and this would later have an effect on Benjamin Cardozo's determination to redeem the family name in judicial circles (as he did). But my point is that Mr. Nathan's position on Wall Street, and by family so close to the Tweed Ring, might have something to do with the murder, and even pressures on the Superintendent Jourdan that helped speed his health collapse and death. It's worth considering. 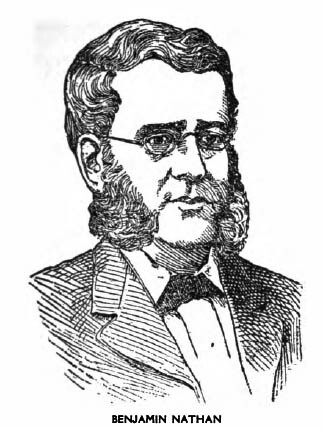 In an issue of The Blue Pencil Magazine, longtime newspaperman and editor James F. Corrigan posited that it was coimmitted by a known 2nd-story man, Charles Dennis, and his partner Kew Carr. What's doubly interesting about this theory was that it was confirmed to Corrigan in 1898 by Worcester Sam Perris, an infamous bank robber who had been a fugitive for 25 years, and was never reported as seen by anyone else since 1879.